Are you tired of long cables not producing clear and crisp images for your High Definition Monitor? Do you have noticeable loss when you send audio/video signals over long cable runs? Try Using Next Generation's Patent Pending HDMI In-line Extender that will actively boost HDMI signals in lengths of 30, 35 and 40 meters ensuring sharp images up to HDTV 1080p. This compact device supports flat panels, plasma screens, projectors, switches, splitters, computer video displays set-top boxes, DTV and DVD with HDMI. 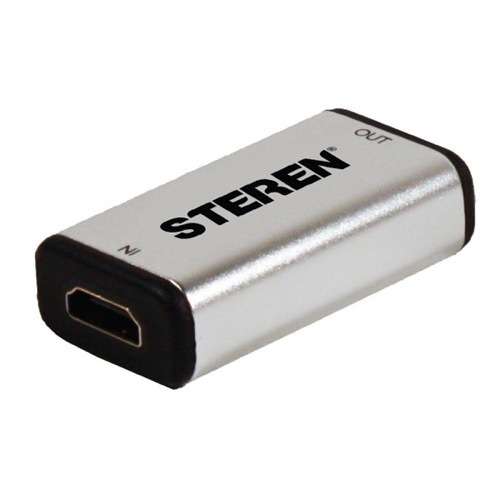 Just add the HDMI EQ Extender to your cable and like magic you are receiving the high quality HDMI signal that is needed to bring crystal clear signal to your HDTV. Please Note: This EQ Extender is intended for use with Monster quality Next Generation Cables. Use of lesser quality cables may require the addition of an external 5 VDC power supply. This addition power source must be purchased separately.